Home ORGANIZATIONManagementThe Best Advice Ever! I thought it would be fun, and helpful to our eternal learning hearts, to have a little linky party celebrating and sharing those words of wisdom from our mentors and peers. Like I said, there are so many things I have picked up from others over the years, but one of my favorites and constant “go-tos” is time notification. In my first year, I was struggling a lot with reluctant workers. So many of my kids would just not kick it into gear. A veteran teacher was visiting my classroom one day and witnessed my frustration. I told her I had no idea how to get everything done when the kiddos can’t get even the simplest things completed in a timely manner and everything takes.so.long. She said you need to give them “time notification” – frequently. Timers are not nearly as effective. When I explained that first graders didn’t really have much of an understanding of time, she told me it wouldn’t matter. I didn’t believe her. She taught 3rd graders. I didn’t think she could possibly understand first grade kiddos. But I tried it. “Boys and girls, you only have 5 minutes left. Get a move on!” I announced. Within a couple minutes they were done and ready for the next thing. I had been taught to use a timer to denote transition and end of certain areas of practice or activities. I was pulling my hair out because there were always so many kids who weren’t finished when that timer went off. And here… all I did was announce a period of minutes that sounded very tiny to those kiddos and they were able to finish what previously took eons..
She was just so right. It works. Every.single.time. Even after all these years. Nearly every time I call out a random time in which I want the kiddos to finish – they work to meet the deadline. There are still those stragglers that no amount of time calling will motivate. But they are few and far between. I have also learned to give myself permission to move on and not let those stragglers run my class. If 2 or 4 out of my 30 kiddos have not completed something, they put it in their unfinished work folder and we move on. They can finish those assignments during some other part of the day when there is time, during recess, or at home. I use a timer every once in a while, but usually don’t need to. The timer is more for me than them. Time notification has proved more effective than my timer for most things. So simple. So easy. So universal. So effective. My favorite kind of tool for my teacher tool belt. I use "time notification" too but I've never heard it called that. That's a good name. I'll link up when I can get my ol' brain in gear:) Good idea for a linky, Traci! What a GREAT linky!! I think a lot of new teachers and veteran teachers can benefit from this!! LOVE it! 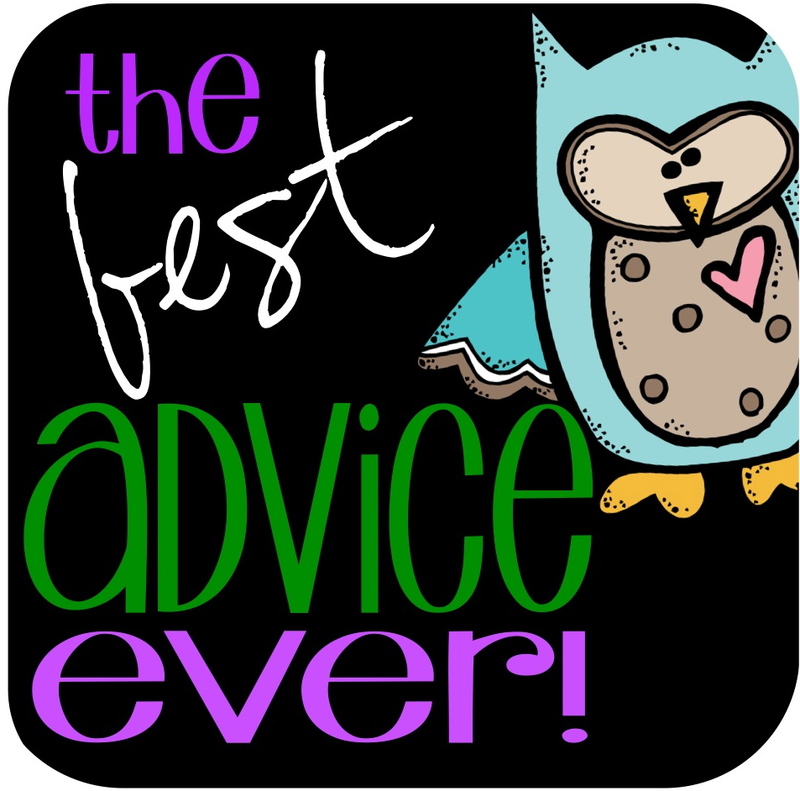 I linked up a recent post I wrote which was more about advice I had given to teacher candidates in my classroom. The same issue keeps arising so I wrote about it and attached a freebie as well. I hope that this meets with your criteria for the linky party. I think it is a great idea! 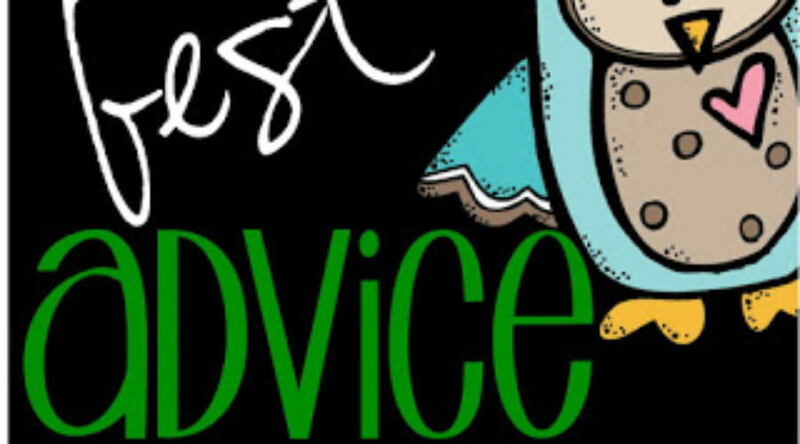 I don't know if this was the best advice ever, but it's pretty good. I was told how to organize test papers. I give them out once a week, but it was taking me forever! Now I pick 4 kids, hand them each a stack and say go, go, go! They pass them out to their classmates as fast as they can. If I have a lot of papers, I pick 5 or 6 kids. Then everybody stacks their papers and I call them up by tables and staple on the cover sheet. Done in ten minutes or less! Everyone has their own way but this has been the biggest time saver for me. Using the kids for that manual labor is DEFINITELY fabulous advice! Such a time saver, you're right! I linked up, too. What a great idea and I love your blog! This is so true. We've never really thought about it, but this is great advice and does work much better than timers. You've got us racking our brains…Love this linky! What a great linky!!! I am going to think about this and link up soon! 🙂 Have a wonderful weekend!! I learned from another teacher to always set up your classroom for the next day before you leave school. If for any reason, you run late one morning then you're board, schedule, etc. are all ready to go. It's definitely come in handy! Thanks for telling about time notification. I am going to use that tomorrow! I do this all the time!! I always feel evil like I'm causing major stress… "You have 2 minutes to finish that whole entire booklet…" Okay, I'm exaggerating… It's a great tip! I'm glad I'm not alone!! Thanks for this wonderful Linky party! I found your linky through Fonts 4 Teachers. Thank you for the great advice. I am so happy I found your blog! What a great idea for a linky party! We can always learn new things for our classroom. I am your newest follower. Thanks Katie. I was so sad I didn't get the chance to chat with you yesterday. The time just FLEW by! Next meet up for sure!